Dr. Sarewitz, a board-certified AP/CP pathologist with over 30 years experience in hospital and private laboratory practice is a nationally recognized expert in laboratory accreditation. Dr. Sarewitz is has served as Chairman and Commissioner for national, regional, and state divisions of the CAP laboratory accreditation programs and is currently the Vice-chair of the CAP Council on Accreditation. He has held leadership positions, and has developed proficiency testing guidelines for the Clinical Laboratory Standards Institute. 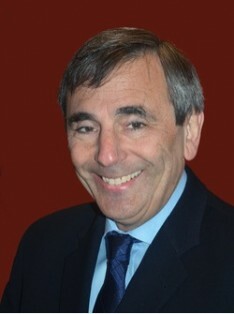 Dr. Sarewitz is a former member of the board of directors of Eastside Pathology Inc., an independent pathology laboratory providing services to a multi-hospital system in Seattle, WA. Previously, he served on the CAP Board of Governors, as Chair of the CAP Risk Management Committee, and as Vice-chair of the CAP Council on Education. Dr. Sarewitz received his MD from Columbia University, New York NY and his post doctoral training at Hartford Hospital, Hartford CT and Memorial Sloan Kettering Cancer Center, New York, NY. Where can we be of service?